This month we focus on "wrath." In Catholicism, wrath is considered to be one of the seven deadly sins. We start by exploring the nature of wrath through the stories of Fred Phelps and Noah's Ark. Phelps and his Westboro Baptist Church are a prime example of how hate can corrupt and spread through this world. On the other hand, the story of Noah tells of the wrath of God on mankind. Moral Lesson, or Barbaric Myth? The recent film based on the story of Noah's Ark has begun a debate on whether God was a righteous judge or a mass murderer. Was his wrath against sinful humanity just? Or was it the act of a tyrant? The passing of infamous anti-gay activist Fred Phelps has elicited a range of feedback from the general populace. Some have cheered, some are forgiving, others are indifferent. How should we respond to the passing of this man who preached a doctrine of hate? In our continuing series on virtues and vices, we look into how to deal with anger. We look to examples of when it is justified and when it is not. Check out the latest sermon here. Do Hellish Beliefs Cause Unhappiness? Is there a correlation between belief in heaven or hell, and happiness in life? Data gathered by professors from the University of Oregon reveals statistics on how belief in a celestial or infernal kingdom may influence socioeconomic tendencies. Wedding season is upon us. If you plan on officiating an upcoming ceremony, we recommend our Classic Wedding Package. 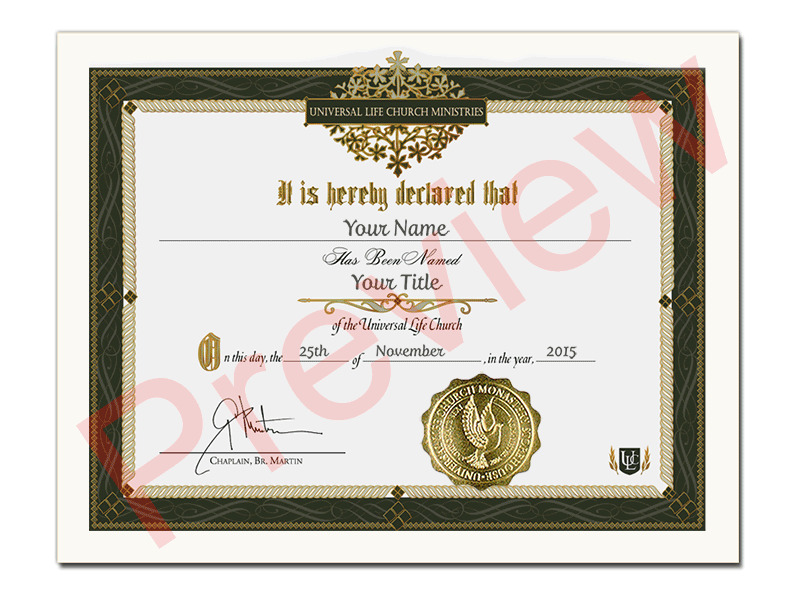 This comes with an Ordination Credential and Wedding Officiant certificate for you, a commemorative marriage certificate for the couple, and Baker's Wedding Handbook to help you say just the right thing on the big day. Order your wedding package here.